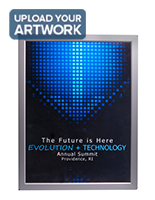 This Illuminated Poster Use a Back Light to Make your Signs and Posters Shine! 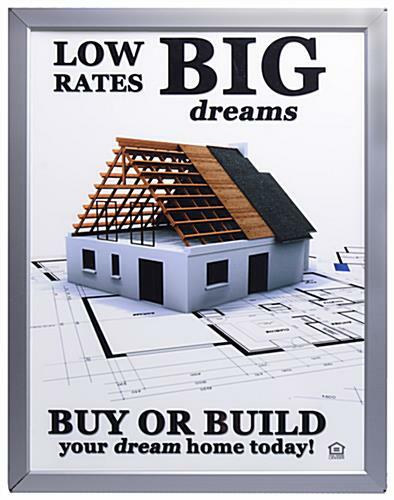 Buy Poster Frames Online, Thousands in Stock! 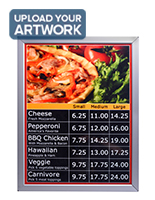 Illuminated Poster, 24" x 36"
This illuminated poster is a great alternative to showcasing your most important company signs and information. The use of a back light will help illuminate your prints and posters, allowing for a sharper, clearer image. 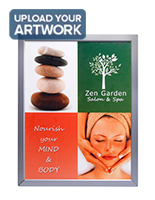 This illuminated poster is printed from your artwork and is engineered for a light box. 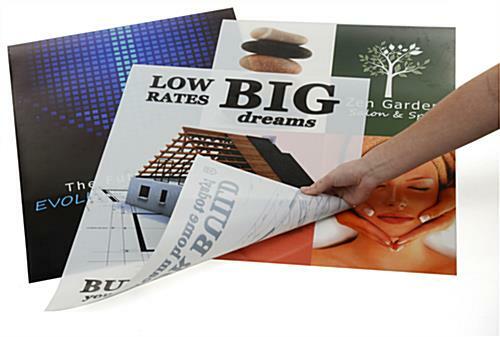 Your artwork is printed on a 9 mil matte polyester film which produces outstanding prints. The opaque film has good light diffusion properties and is perfect for indoor or outdoor use. The eco-solvent printer produces a extremely rugged and steadfast print because the inks are allowed to penetrate the material. A double pass is utilized to darken the print. This helps offset the brightening of the print by the back light. Design Note: Many light boxes cover a portion of the print at the edges. Please keep in mind this may cover a portion of these poster.